From Undecided to STEM Success Story: "Why I Owe My Career to Bridge to Employment"
The Johnson & Johnson STEM mentorship program for high schoolers and undergraduates turns 25 this year. And who better to speak to its impressive track record than a Bridge to Employment graduate who went on to do great things. 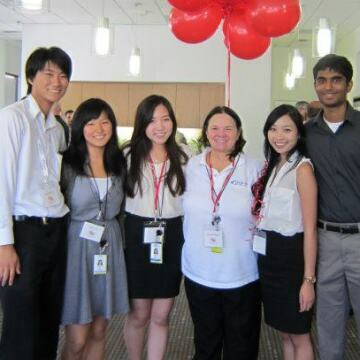 iffany Le was a junior in high school in San Jose, California, when her biology teacher encouraged her to apply to Johnson & Johnson’s Bridge to Employment (BTE) program in 2009. Despite her initial ambivalence, Le was accepted into the program and placed in a business intelligence internship that summer with the IT team at LifeScan, part of the Johnson & Johnson Diabetes Solutions Companies. BTE, the youth development program that paired Le with LifeScan, was created by Johnson & Johnson in 1992 to give promising high schoolers and college students access to three-year mentorships focused on STEM2D (science, technology, engineering, mathematics, manufacturing and design) fields. At the time, youth unemployment rates were on the rise, says BTE founder Michael Bzdak, Ph.D. Michael Bzdak, Ph.D.,Global Director of Employee Engagement in Global Community Impact at Johnson & Johnson, now Global Director of Employee Engagement in Global Community Impact at Johnson & Johnson. “So we teamed up with the National Alliance of Business to figure out how we could best help young people—and ultimately settled on BTE's four-part mentorship model,” he explains. Each BTE program is comprised of four partners that work together to mentor underserved high school students: a Johnson & Johnson operating company, a community organization, a high school and an institution of higher education. With that framework in place, each program can be customized based on a particular community's needs, including everything from college visits to structured internships and even job-shadowing opportunities. The statistics certainly speak for its success: 100% of BTE participants have been accepted into at least one institution of higher education—and they tend to do better academically over time than their peers. And we really mean global—now in its 25th year, and managed for Johnson & Johnson by FHI 360’s National Institute for Work and Learning, the program has blossomed from just one location in the U.S. to more than 80 BTE locales in 19 countries worldwide. The statistics certainly speak for its success: 100% of BTE participants have been accepted into at least one institution of higher education—and they tend to do better academically over time than their peers, with 3% higher grades in science and 2% higher grades in math. Le says the program certainly gave her a jump-start after college. 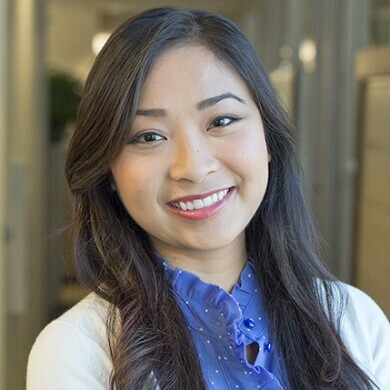 After completing the BTE program, she returned to LifeScan as an intern for three more summers, which she credits with helping her not only stay laser-focused as a student at the University of California at Berkeley—but also with landing a risk advisory consultant job with Ernst & Young a year before her 2014 graduation. One of the reasons Le says she gained so much from her BTE internship is that it facilitated learning beyond a school setting. In addition to helping LifeScan employees with administrative projects—typical intern work—she was also given the opportunity to learn a new computer program, with the goal of training managers on the platform. It was an incredible opportunity on a few counts, Le says. For starters, SAS was a crucial program to know if she was going to pursue a career in data analytics. What’s more, teaching others how to use the software enabled Le to meet employees in marketing, finance and many other departments, enabling her to hone her relationship-building and public-speaking skills. In fact, Le—who now works in the internal audit department for Workday, a cloud-based financial management and human resources software vendor—says she owes her career to BTE. Are You a Woman Working in STEM? Apply for the Johnson & Johnson WiSTEM2D Scholars Program and you could win $150,000 and other resources to advance your work.